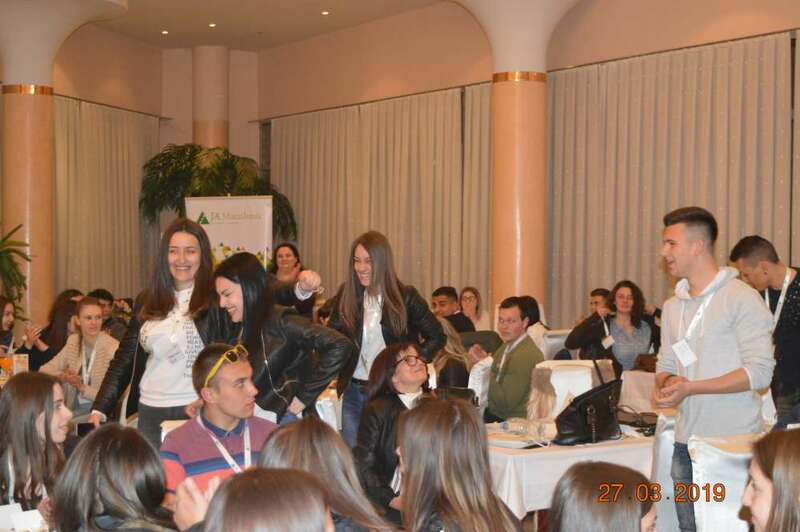 The team “Vibe-Rent a scooter” is the winner of the third Innovation Camp held on 27th of March in Delchevo. Ana Marija Miteva, Petar Taneski, Gorjana Micevska, Anastasia Andova and Teodora Domazetovic, members of the winning team came up with an ecological solution for the traffic jams in the big cities, by offering a rent a scooter service that works on solar energy. 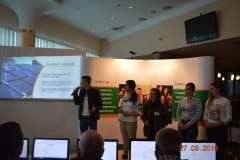 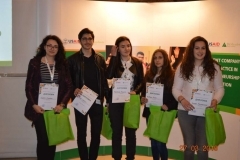 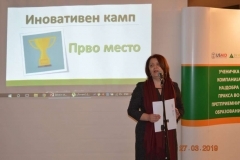 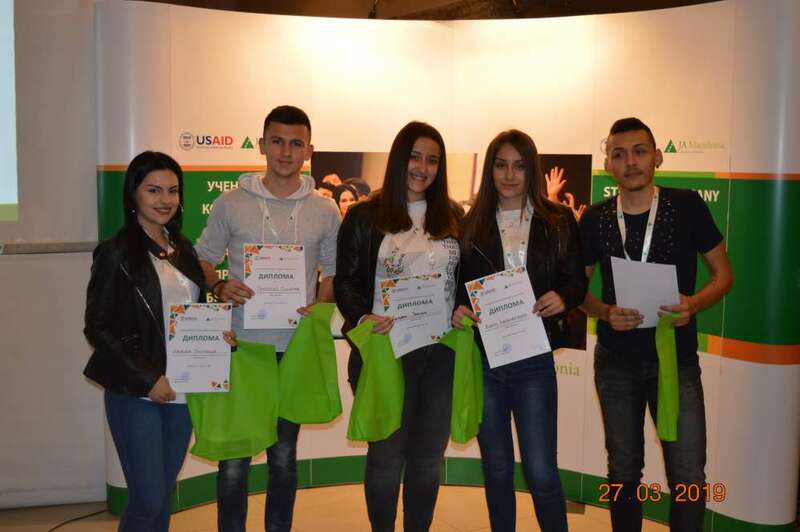 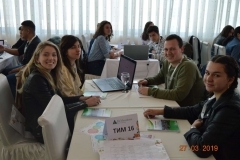 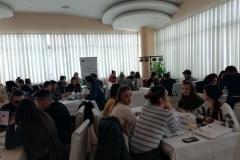 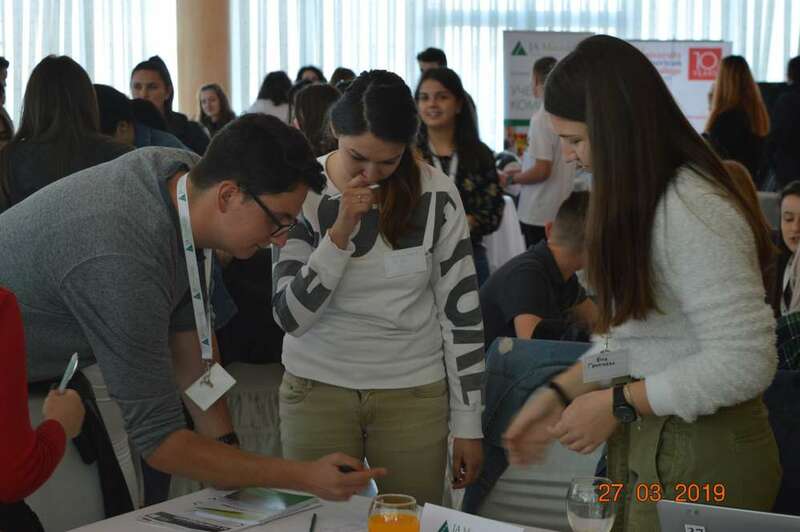 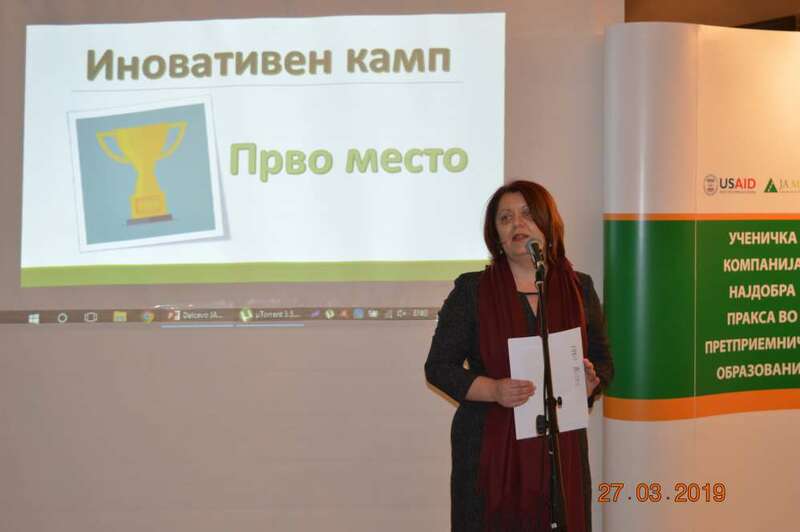 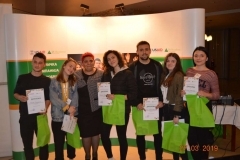 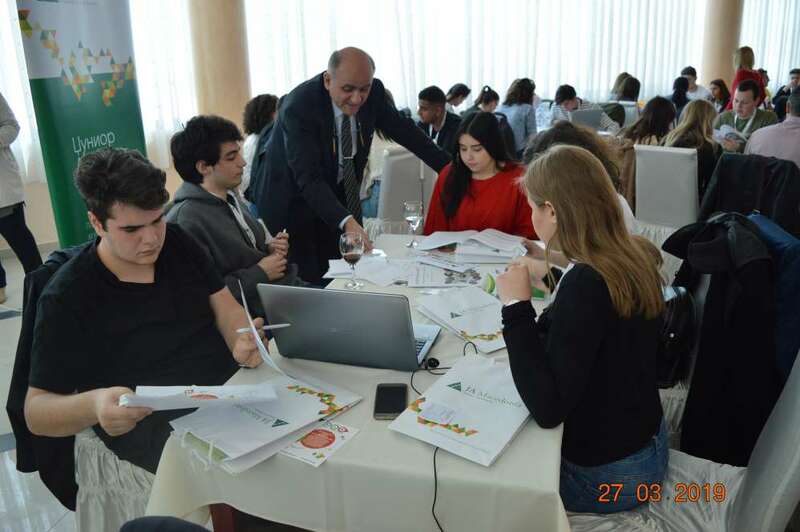 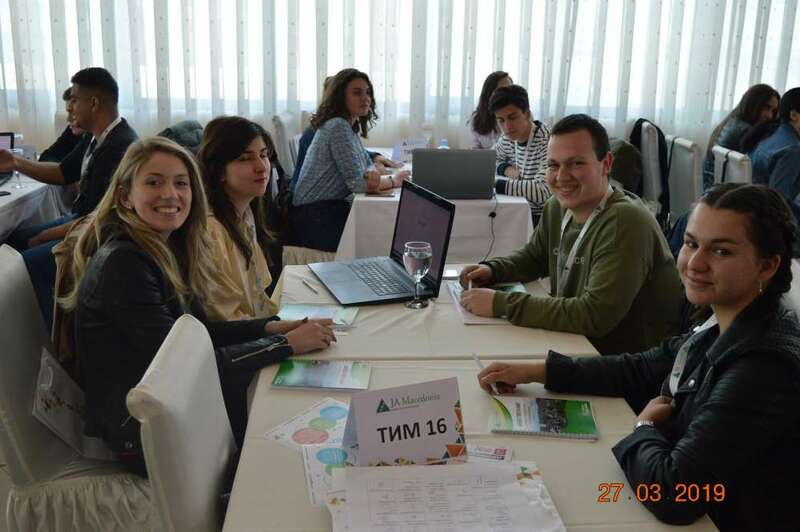 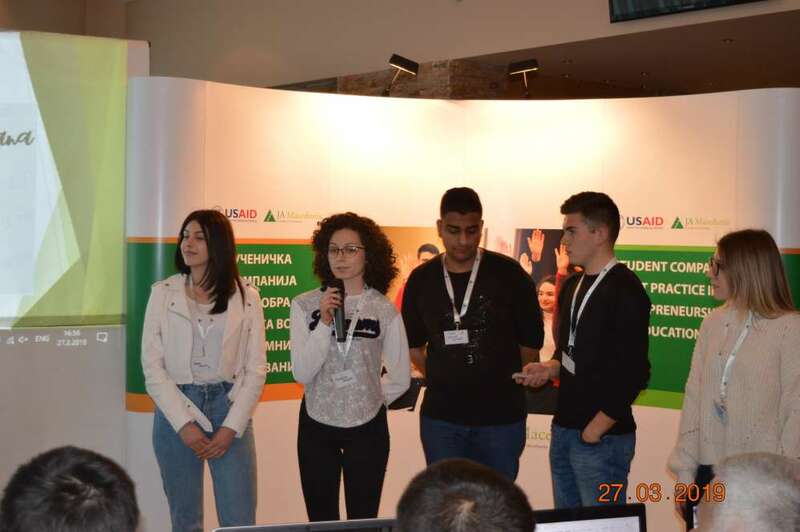 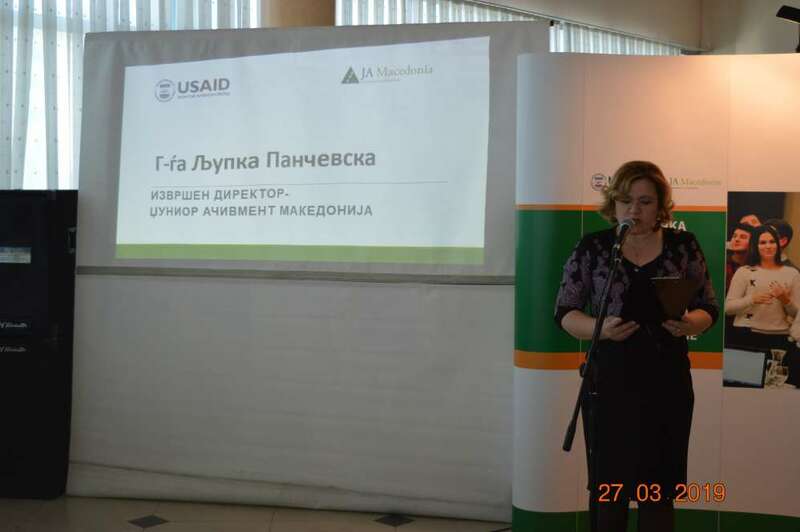 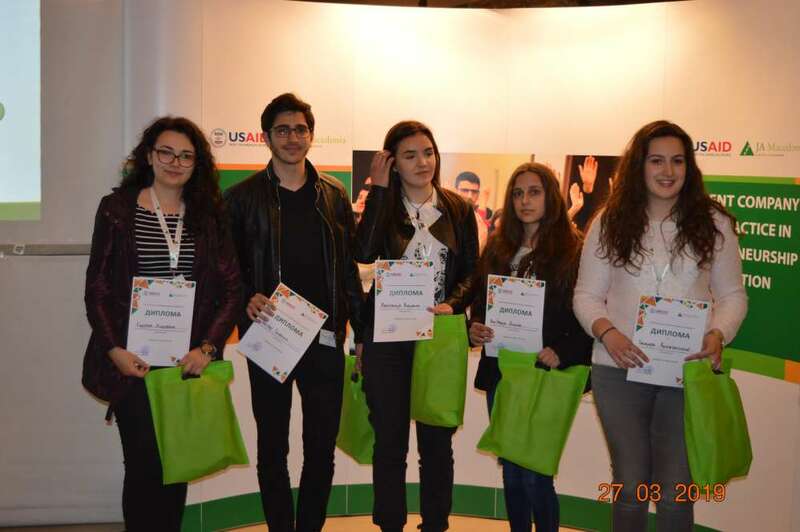 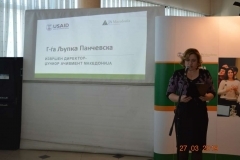 The Third Junior Achievement Macedonia Innovation Camp was organized on 27th of March 2019 in restaurant “Libero”- Delchevo. 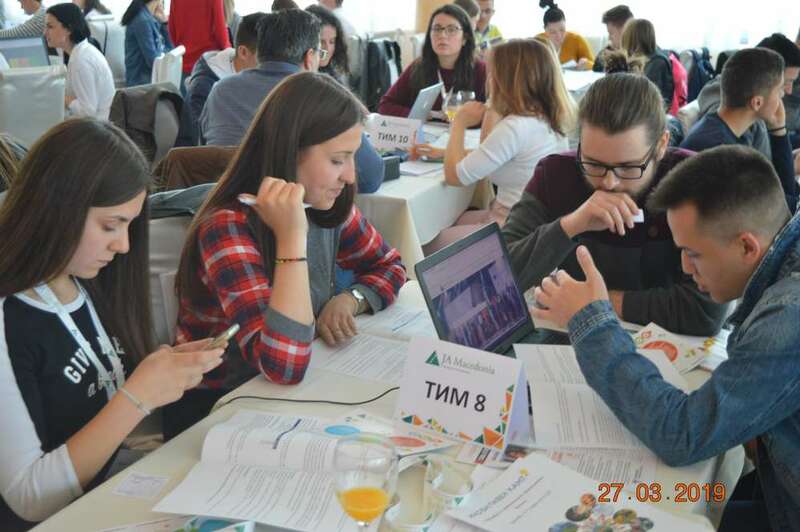 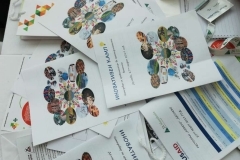 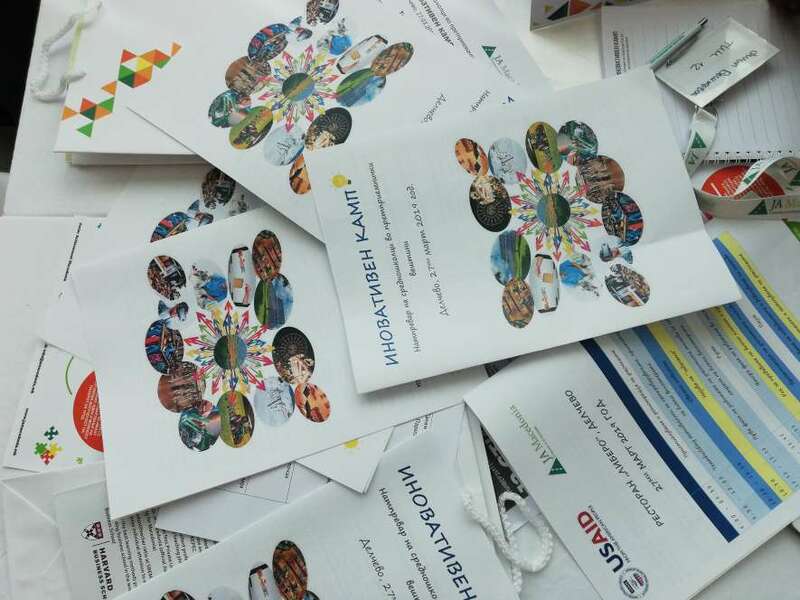 100 students from 21 high schools from Delchevo, Kumanovo, Makedonski Brod, Bitola, Resen, Shtip, Valandovo, Kriva Palanka, Makedonska Kamenica, Vinica, Berovo, Kochani, Prilep, Kavadarci, Gevgelija, Strumica and Skopje took part in this competition. The students were grouped into 20 teams with 5 members each. 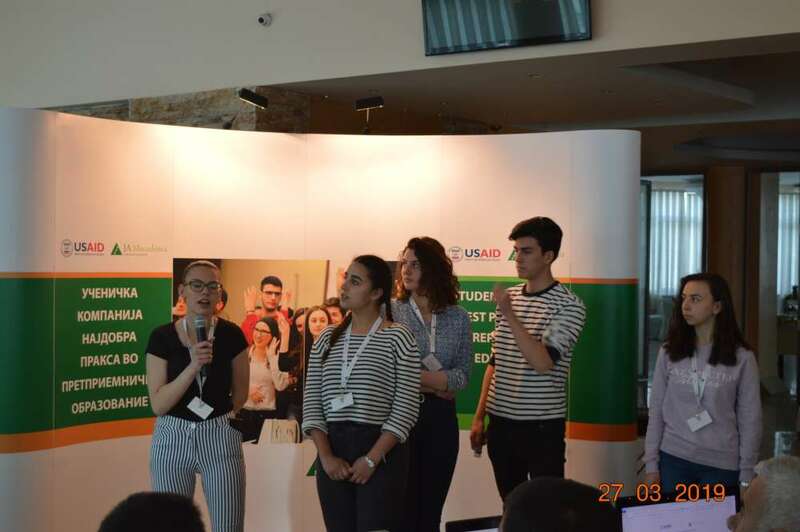 The members of the team did not know each other before the competition, making the challenge of creating a common solution even more interesting. 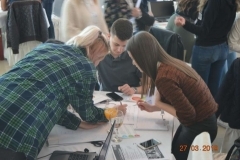 The Innovation Camp is a one-day event in which students work in teams to find a solution for the given business challenge. 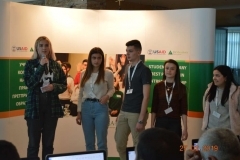 This year’s challenge was to develop a business concept that would contribute to the economical, technological or social development of the community. 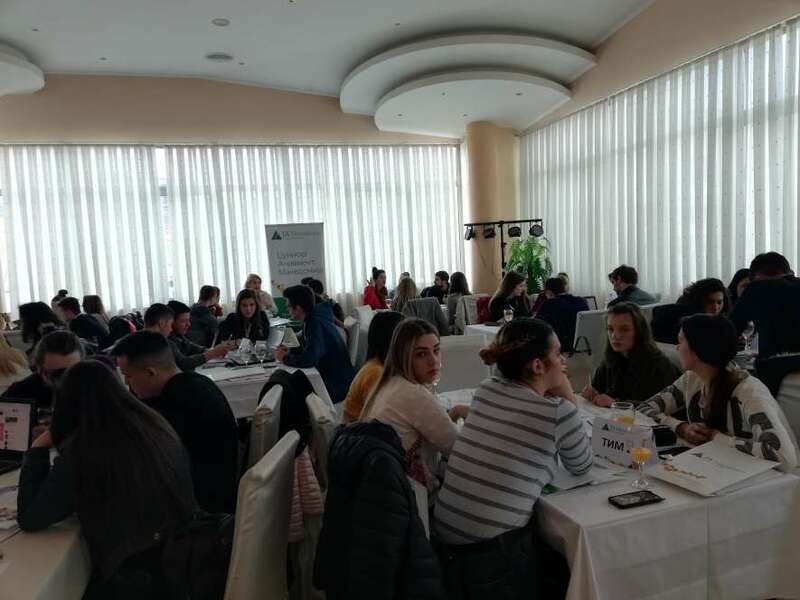 During the day 12 business volunteers from: IT company GDI, Manov Company, Akus Medika, University American College Skopje were at students’ disposal for advices and help in their idea conceptualization. 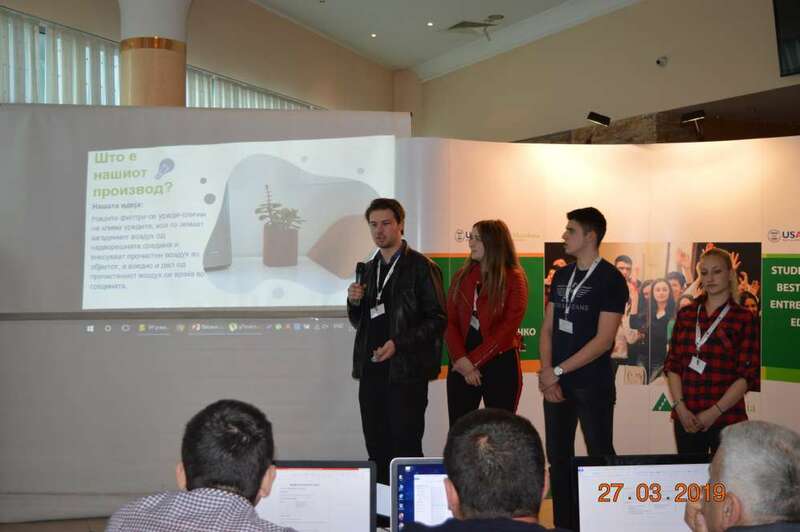 The teams were judged by a 5 member jury consisting of: Maja Kolekeska – National Agency for European Educational Programmes and Mobility, Dragan Sugarev – Bregal Company, Ilia Levkov – National Branch Organization for Electric Mobility, Metodi Manov – Manov Company, Vlatko Spasovski – Bregal Company. 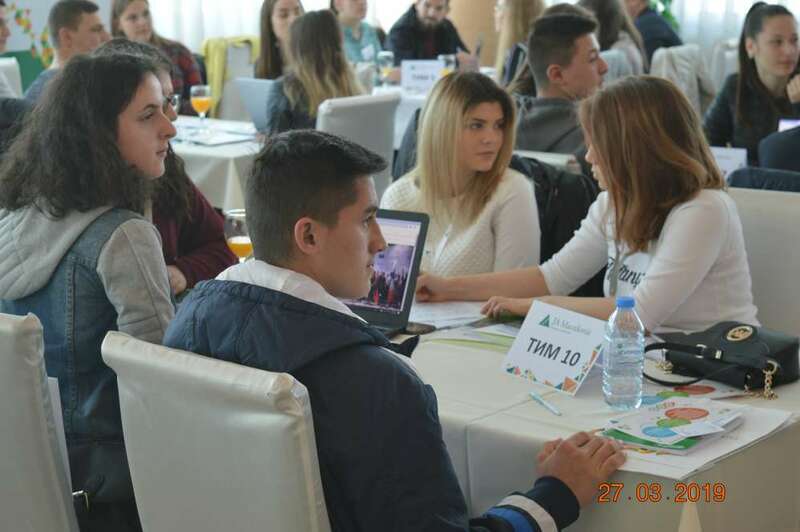 The students were addressed by the Mayor of Delchevo- Goran Trajkovski, as well as our CEO- Ljupka Panchevska, and both emphasized the importance of the entrepreneurial education and the development of entrepreneurial skills. 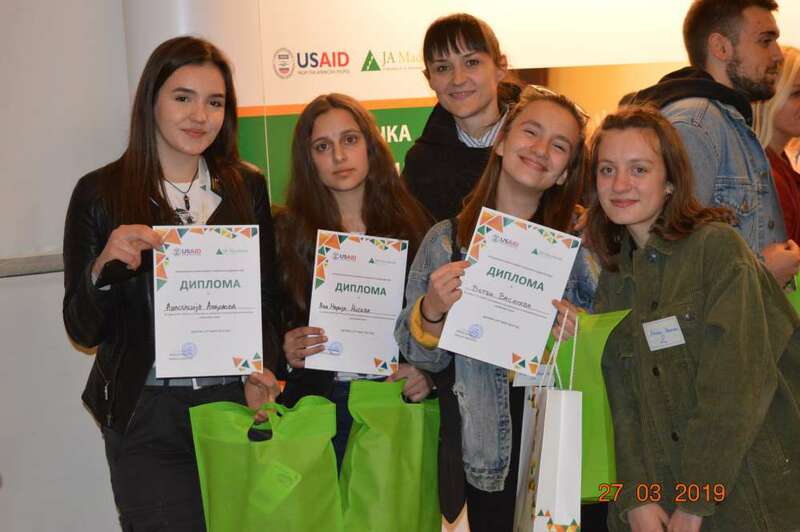 Junior Achievement Macedonia thanks everyone who was part of this event, special thanks to GDI Solutions – Skopje for awarding the second prize, Bregal, MANOV Company, University American College – Skopje, Municipality of Delcevo, PZU Akus Medika – Delcevo, as well as all the participants who were part of this wonderful event.